Fetish Chocolat. Just the sound of it makes me weak in my knees. No naughty thoughts my dear, I’m referring to the Fetish Chocolat at Antoinette that is happening from 1 September till the end of October. Following the success of Fetish Matcha that ended last month, Antoinette has partnered Valrhona (THE chocolate for any chocolate creation) to bring you Fetish Chocolat that promises more savory indulgence. 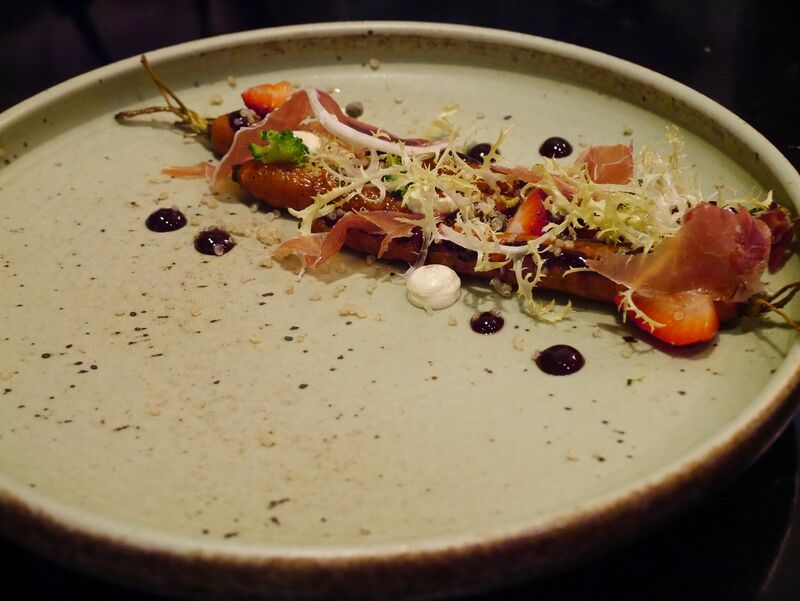 Artistically plated, Roasted Carrot with Balsamic and Dark Chocolate Dressing ($18) was a light dish to start with. The dish bursts with distinct flavors of Serrano ham, strawberries and feta, and I would have missed the Equatoriale 55% chocolate in the balsamic vinegar and olive oil dressing if I had not read the menu. 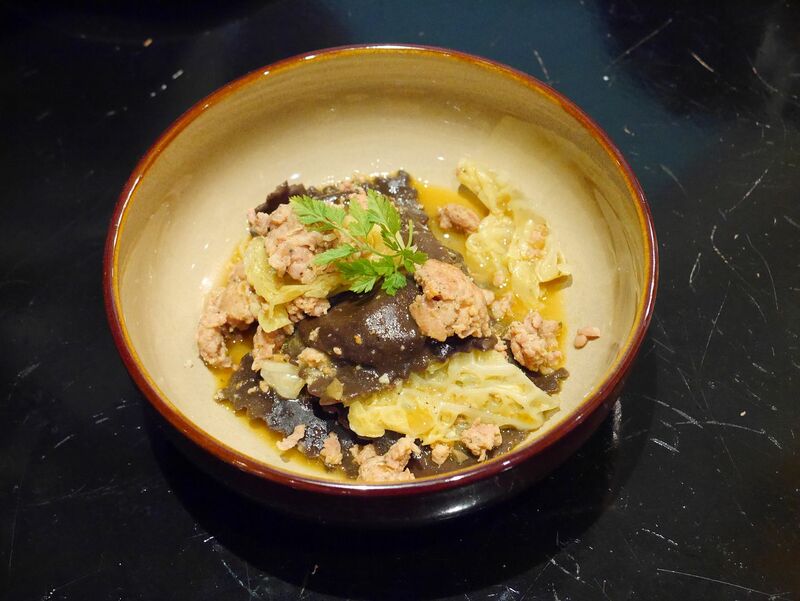 Chocolate and pasta do not sound like a match made in heaven but this pairing on Chef Pang’s menu tastes brilliant! In Chocolate Ravioli filled with Wild Mushroom Ragout and cooked in a Light Sausage Cream Sauce ($22), Caraibe 66% chocolate is used as a coloring in the making of the pasta, hence the taste of chocolate is subtle. 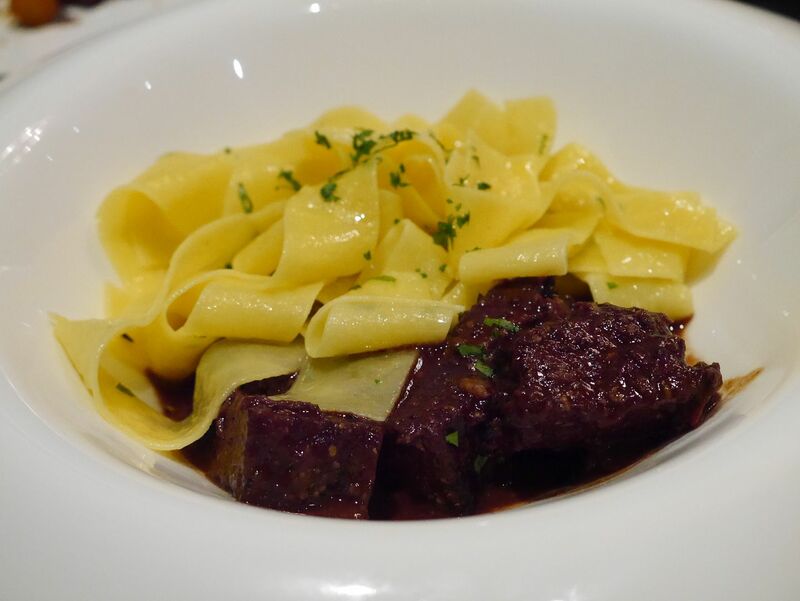 In contrast, Braised Wagyu Brisket with Mustard and Dark Chocolate served with Buttered Parpadelle ($30) has strong earthy Guanaja 70% dark chocolate notes in every bite of brisket. Now which will you pick? There are also small savoury bites such as Salted Egg Truffle ($28, box of 9) and Crispy Bacon Enrobed in Dark Chocolate ($15). Hype you say? I say it is a smart combination of sweet and savory. 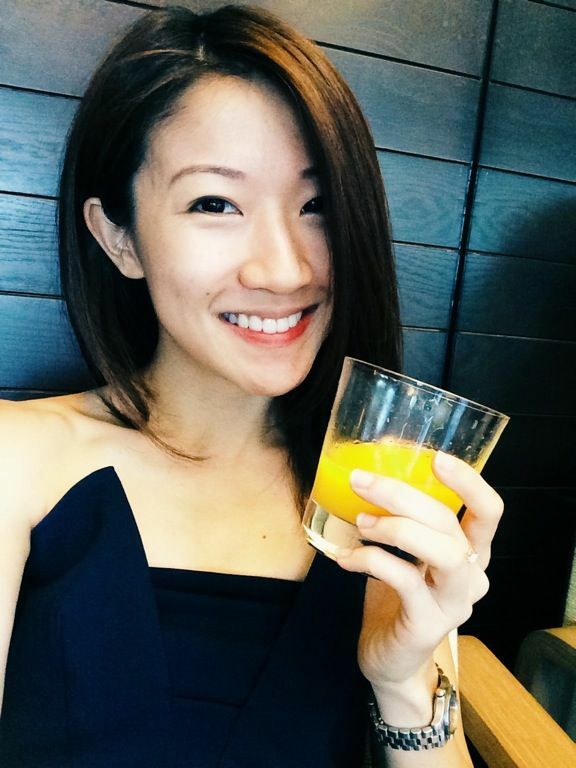 Craving for sweet breakfast items? 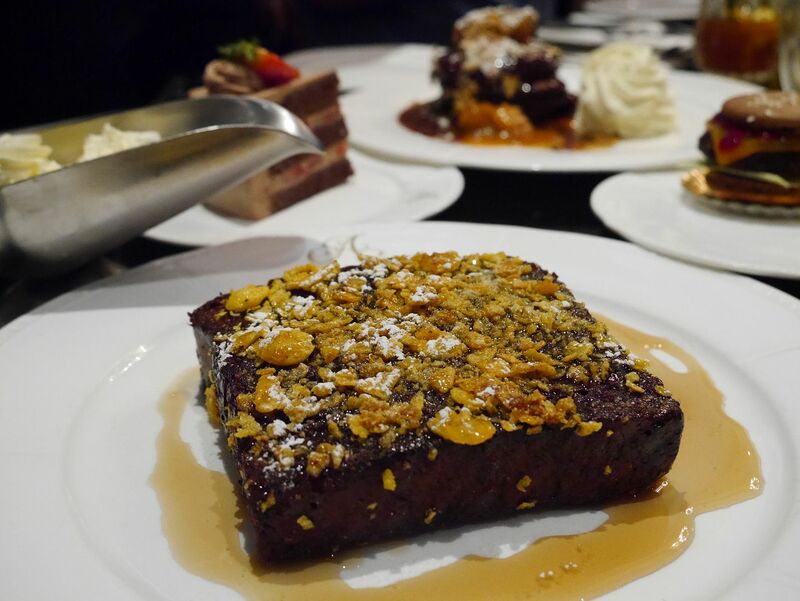 Chocolate French Toast filled with Chocolate Lava, Vanilla Chantilly and Maple Syrup ($18) is covered with banana nut crunch and oozes silky Equatoriale 55% chocolate. 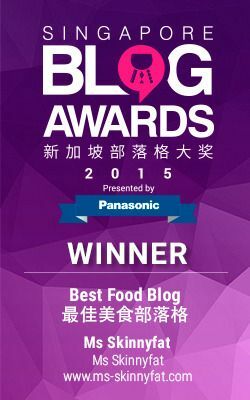 The best way to eat it? Wipe a slice of fluffy chocolate brioche with maple and lava and slap on a generous spoon of chantilly… mamma mia! If pancake is your thing, you will adore Chocolate Pancake ($18), a stack of soft warm pancakes served with warm chocolate sauce, salted caramel, banana nut crunch, flambed caramelized banana and vanilla chantilly. 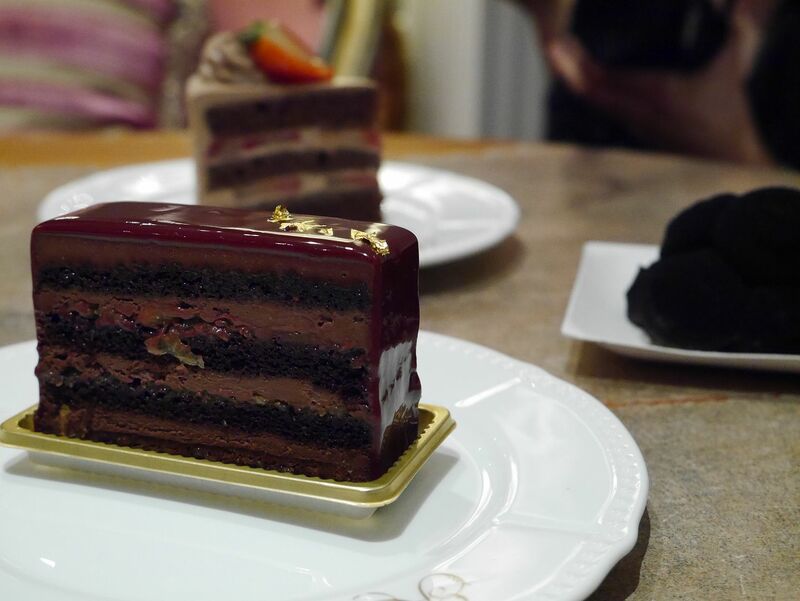 There is no reason not to have time for tea at Antoinette’s when there are chocolate cakes on the menu. A slice of Orangier ($10) with a pot of tea is the key to zen, or buzz if you get cocoa highs. Absolute love! Charcoal sprayed to create a sweet 3D visual, Trufflette ($15) comprises a dark chocolate mousse, black truffle cremeux and chocolate genoise on a hazelnut feuilletine. 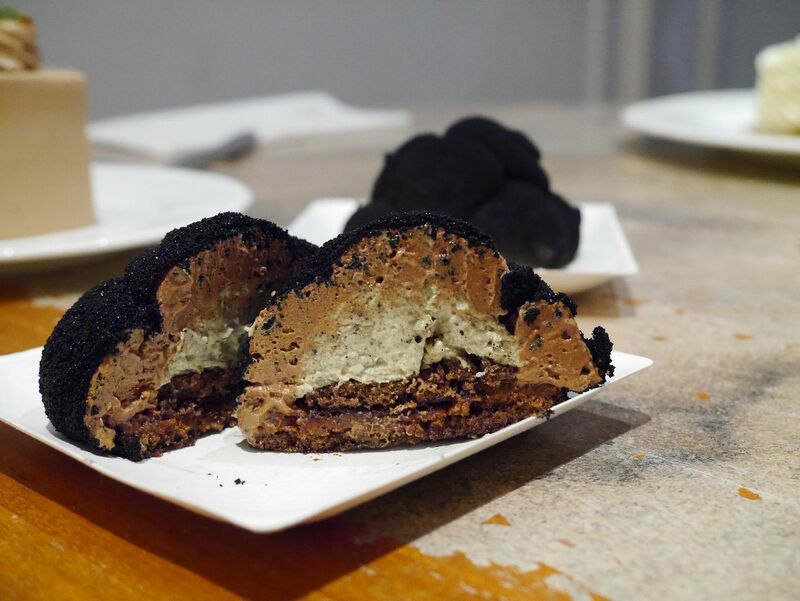 Who would have thought that chocolate elevates the flavors of black truffle? 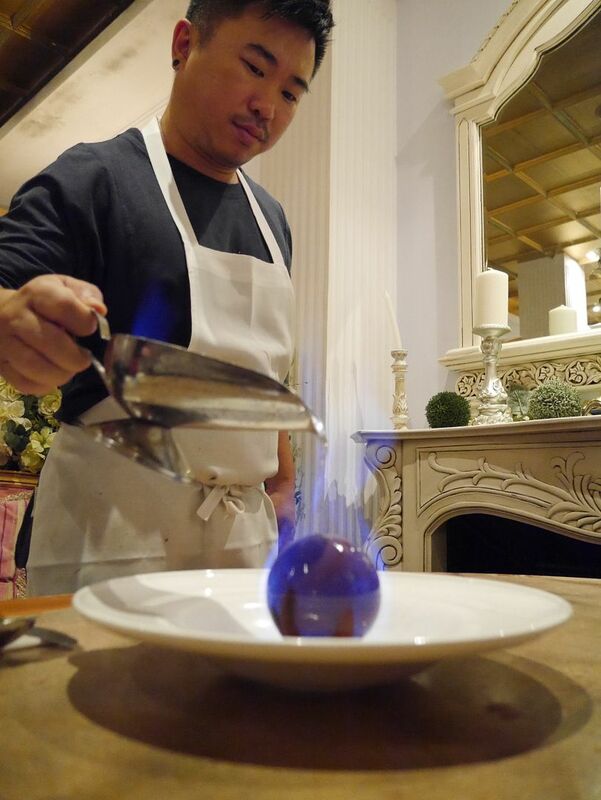 On the notes of interesting and adventurous, Chef Pang has other surprises in his chocolate hat. One moment he pulls out Invader Inside ($15), a tin of ten textures of chocolate; the next he gets the Flaming Chocolate Ice Cream ($22) lighted up. And some time in between, he presents his PH endorsed (while at defunct Canelé) macarons. Delicately assembled, the Macaron Burger ($12) has a chocolate ganache “patty”, apricot “cheese”, raspberry “ketchup”, salted caramel cream “mustard” and white chocolate “lettuce” between chocolate macaron shells. 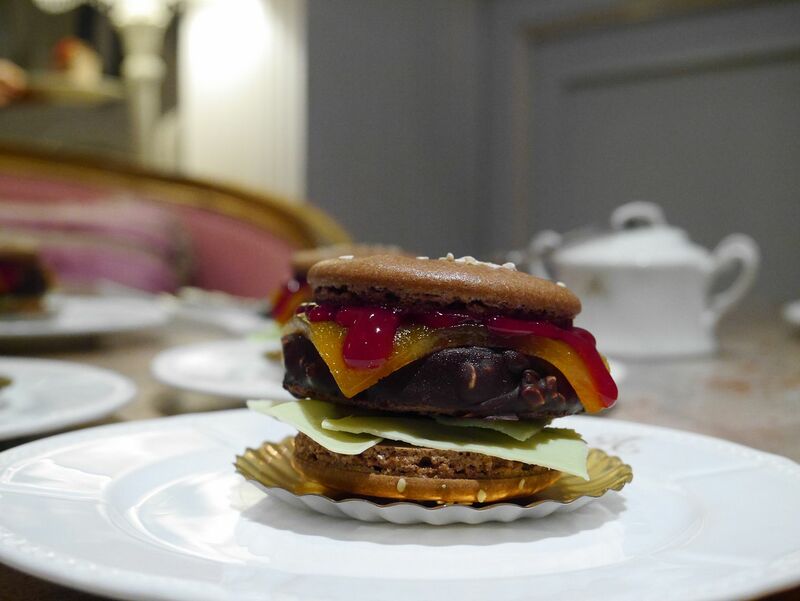 A bite into the burger and the different flavors of Antoinette’s macarons fill the mouth. Cocoa, the food for Gods. Gather all your godfathers, godmothers, god-siblings… and celebrate with a feast. ‘Because chocolat. 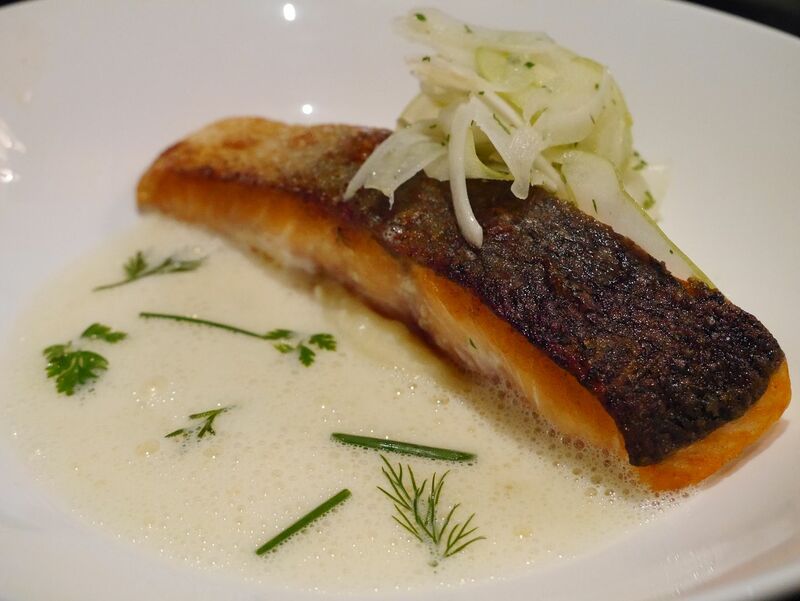 Do note that the Roasted Carrot, Chocolate Ravioli, Sous Vide Salmon and Braised Wagyu Brisket are not available at Mandarin Gallery. In support of Singapore Children’s Society OCBC-TODAY Children’s Fund, “Food for Dreams”, a dollar will be donated for every order of Chocolat items (except selected).